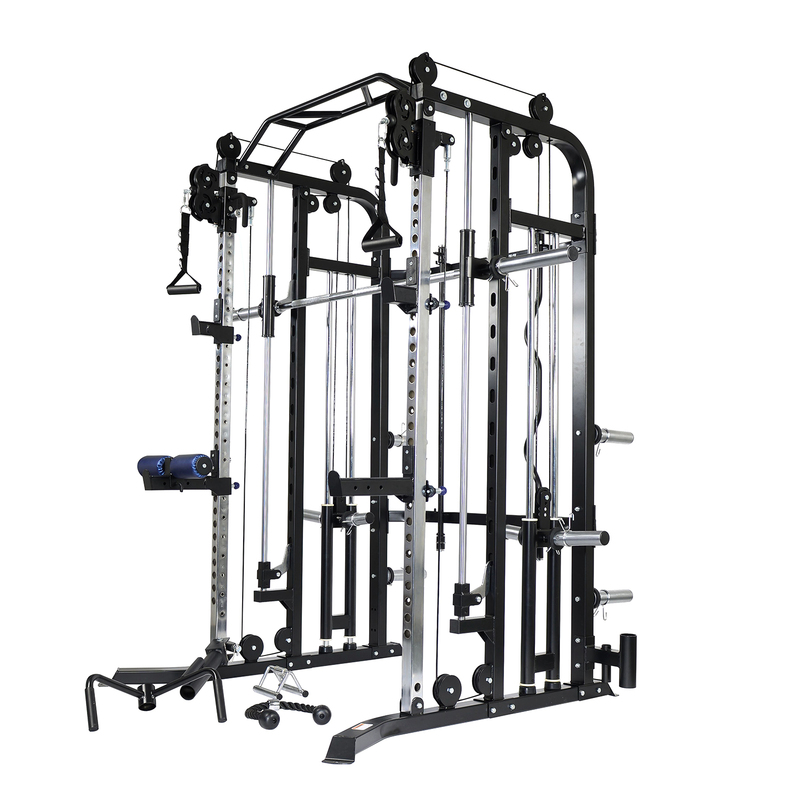 Power Rack, Functional Trainer & Smith Machine in one! 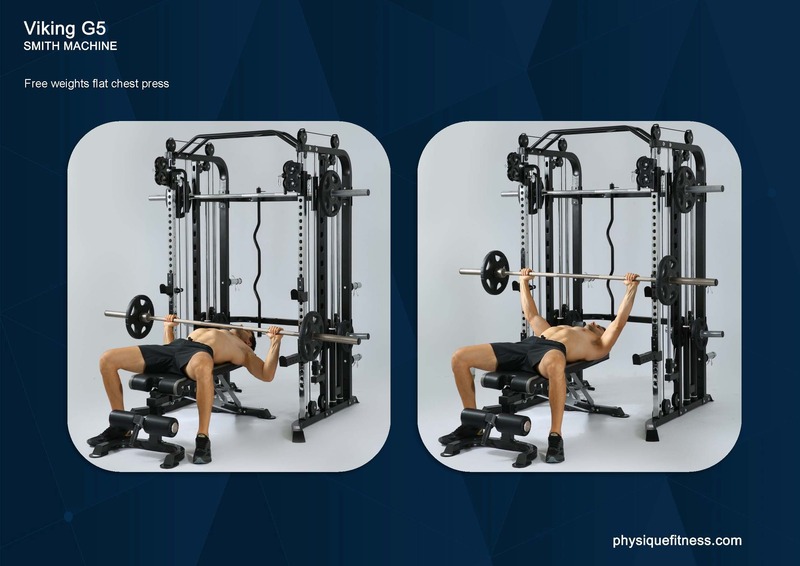 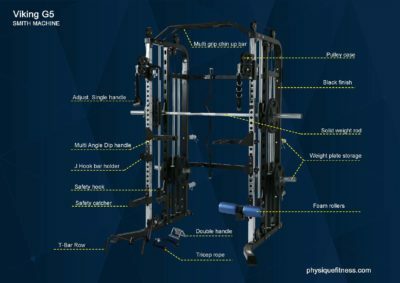 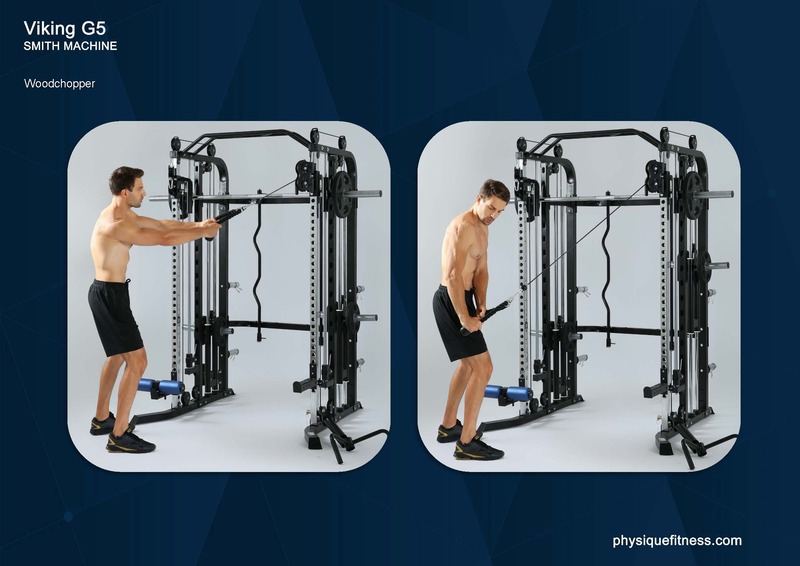 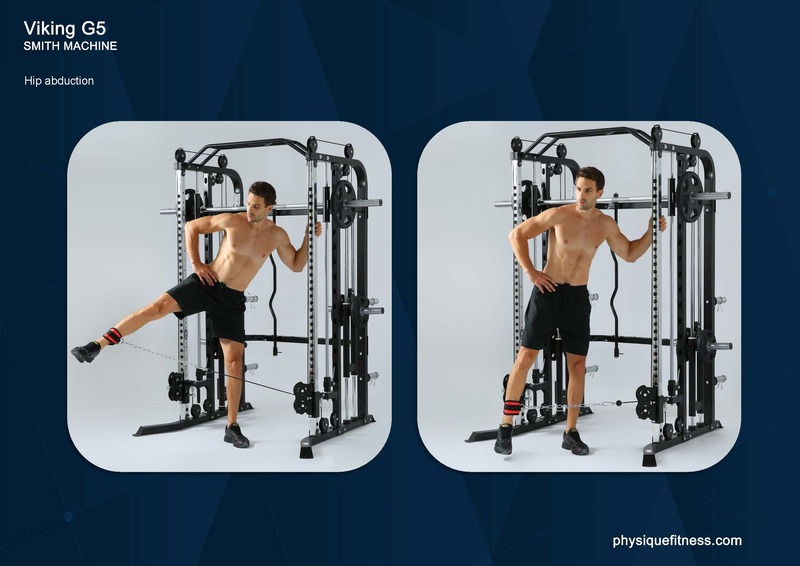 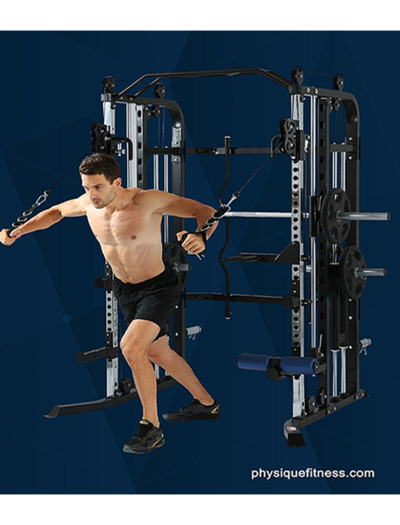 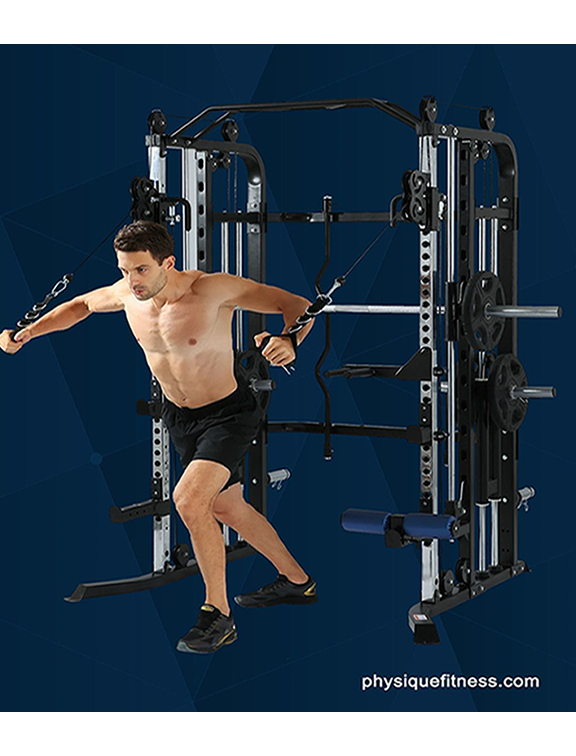 Combining a Functional Trainer, Smith Machine and a Power Rack, the Viking G5 Power Cage / Functional / Smith Machine offers complete coverage to your fitness needs. 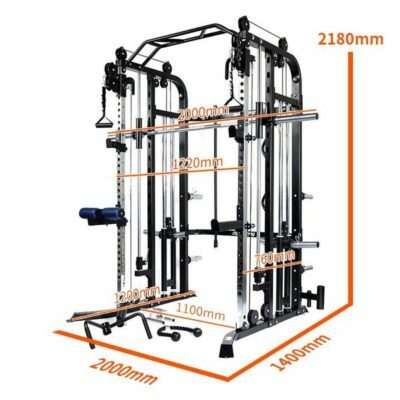 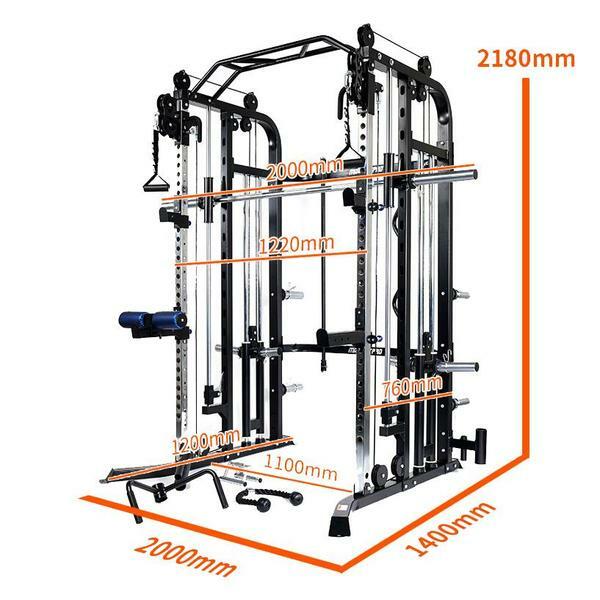 The Viking G5 Power Cage Functional Smith Machine is a multi-functional machine useful for a wide range of exercises. 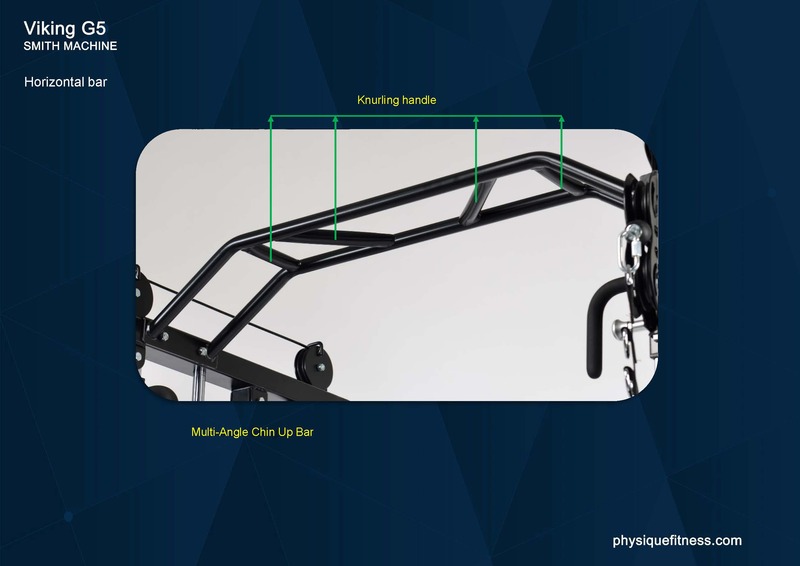 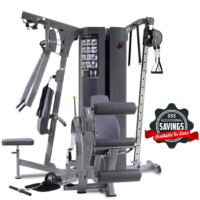 It features a dual plate-loaded adjustable pulley system, a power rack with safety spotter bars, Smith Machine and a Multi-Grip pull-up bar to further enhance the multitude of workout options on this excellent machine. 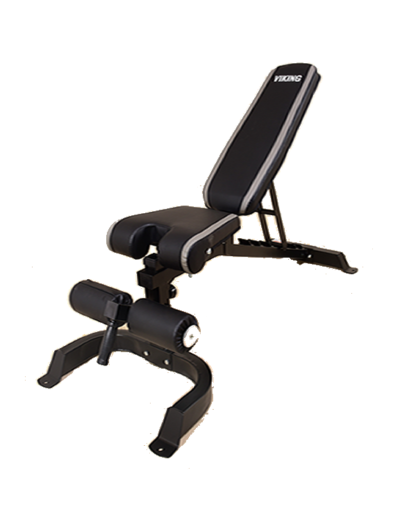 This durable piece of equipment with a small foot-print is ideal for any home gym. 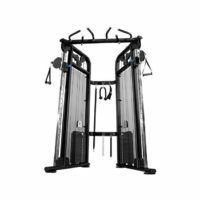 The best alternative to the conventional home gym, Functional trainers & cable cross over offer unlimited versatility to any workout. 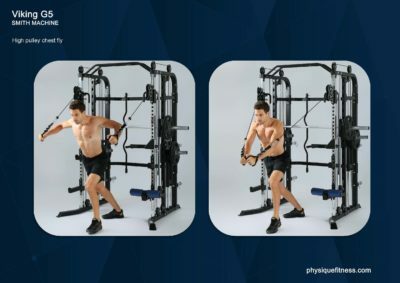 They work effectively on your core stabilizer muscles, that is, the structural muscles of your back and torso , in other words, any muscle located between your hip and pelvis and the base of your rib cage. 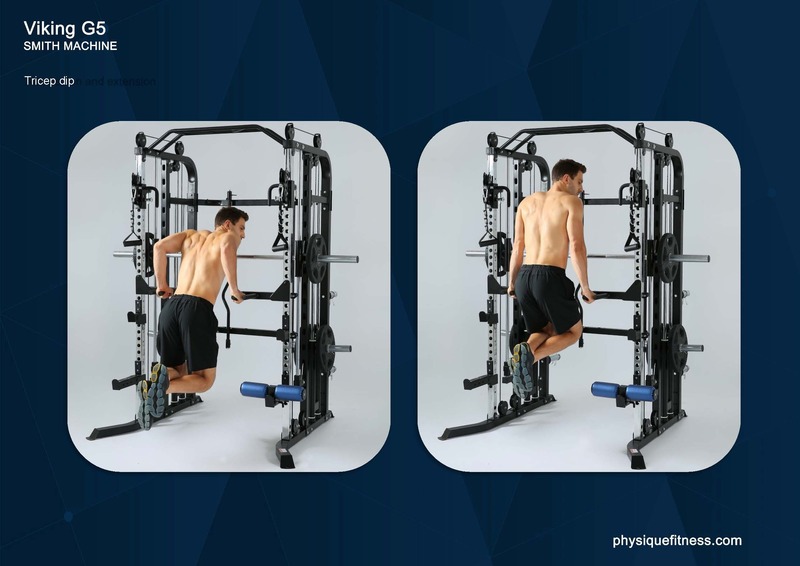 Improving your stabilizer group allows your body to not only better balance and steady itself, but it increases athletics performance as well as helps to prevent injury. In strength training, a stronger core allows you to progressively lift heavier weights when targeting the movement muscles in the legs and arms. 8 X Heavy Duty Hard Rubber Wheels fitted with Bearings, guaranteed to provide a smooth feel & operation. 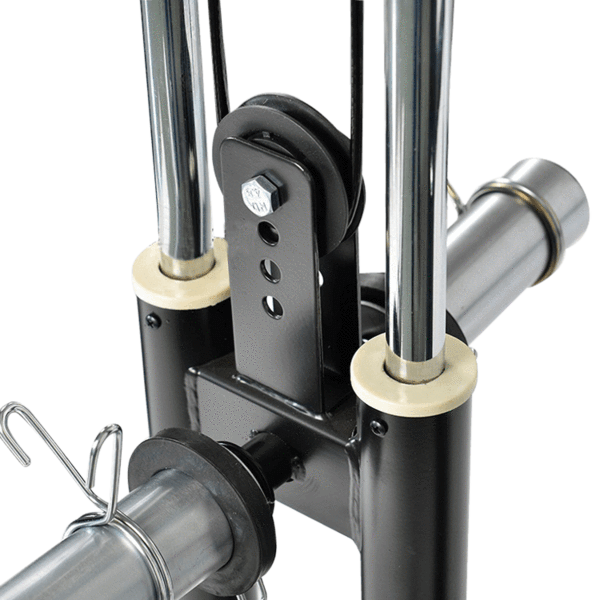 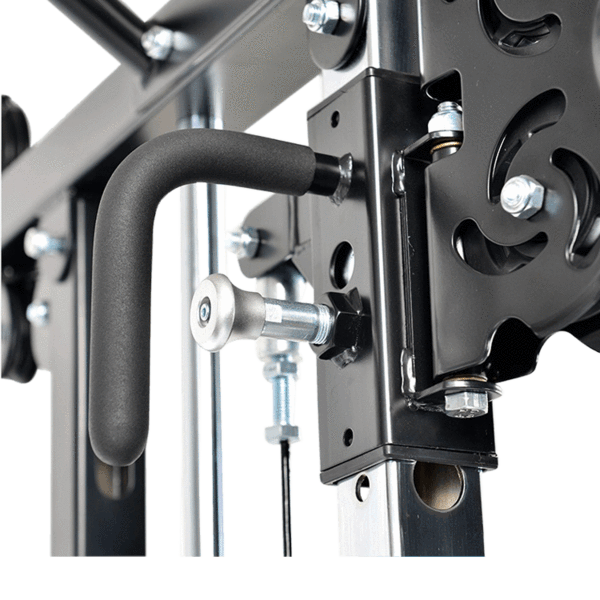 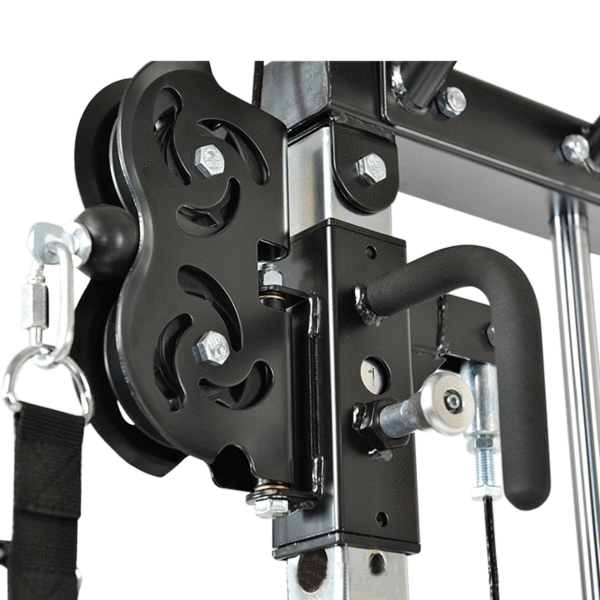 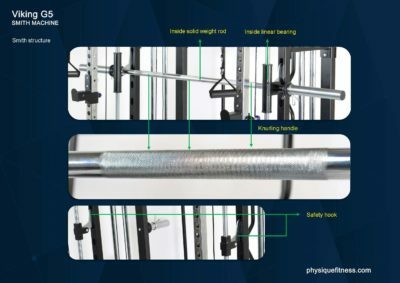 Adjustable safety catches for Smith Machine exercises. 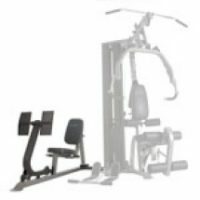 Use it when going heavy! 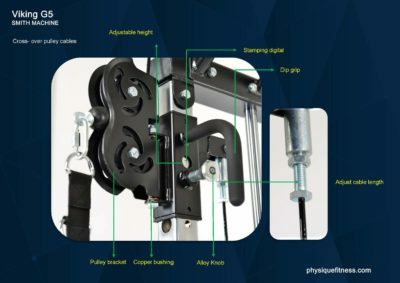 Quick and easy pop pin functional adjustment, equipped with handle for 1 handed operation. Functional trainer weight holders are angled upward ergonomically and have removable sleeves to carry Standard or Olympic sized weight plates. 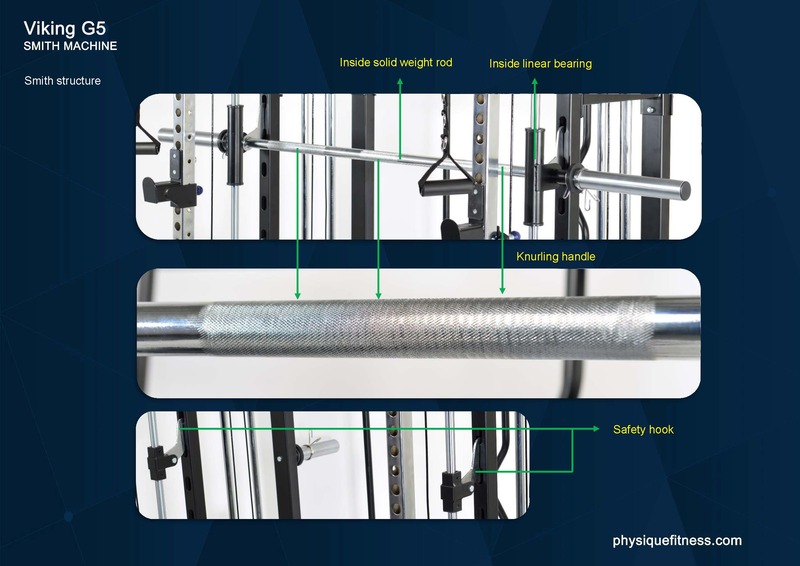 Comes with 2 x J hooks and 2 x Safety catchers for use with Standard or Olympic barbell. 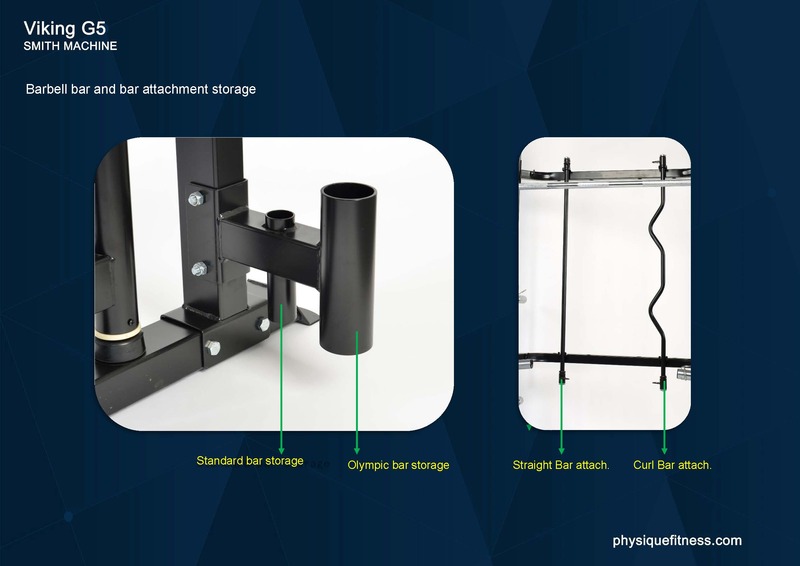 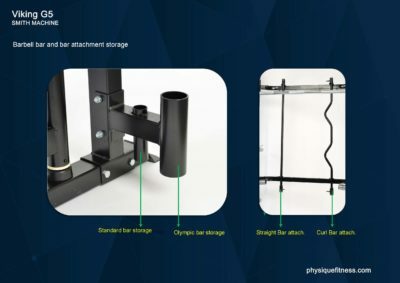 Use with Olympic bar for pressing or rotation exercises. 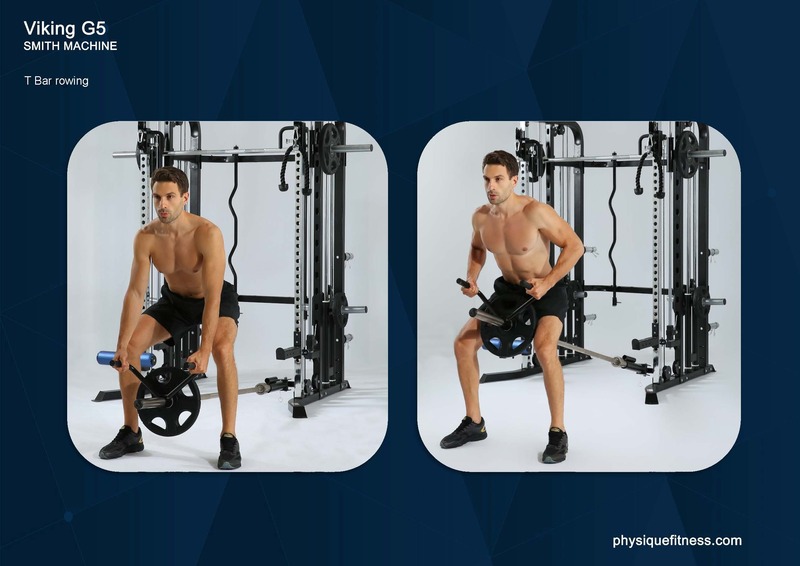 Pair with T bar handle for rowing exercises. 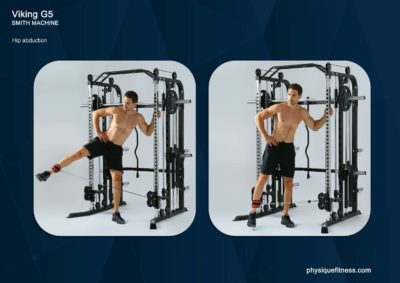 Can be removed with not in use. 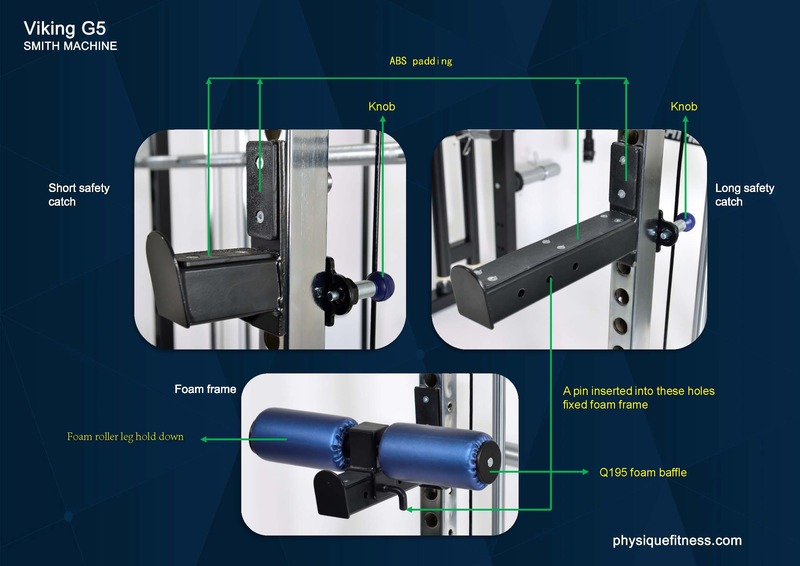 Attaches to power rack safety catch for lat pull down exercises. 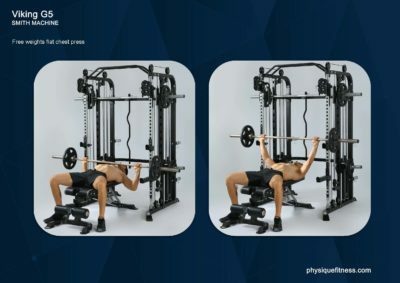 Multiple grips to target different muscle group and add variety to workout. 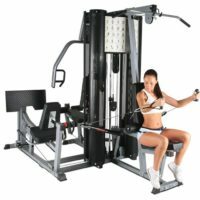 Attachment accessories included such as curl bar, long straight bar, 2 x handle straps, tricep rope, triangle handle, straight bar and ankle strap. 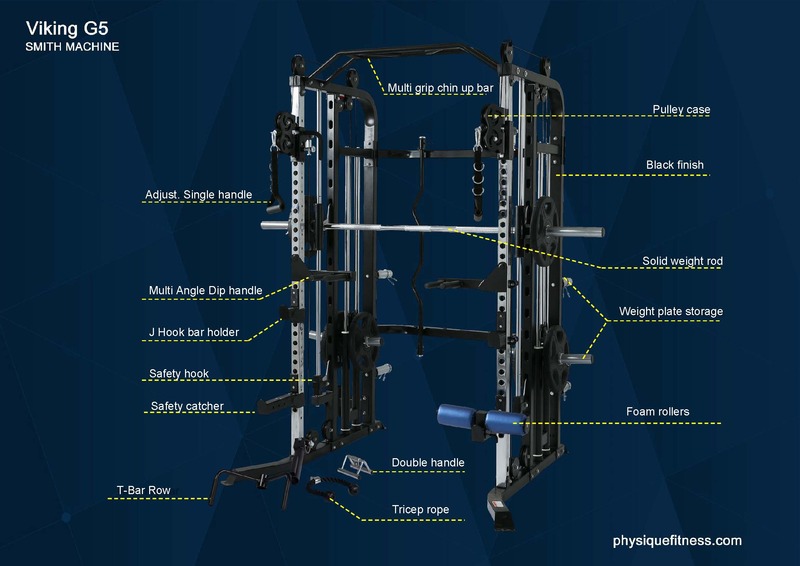 6 x Weight plate storage with removable sleeve to accept either Standard or Olympic sized weight plates. 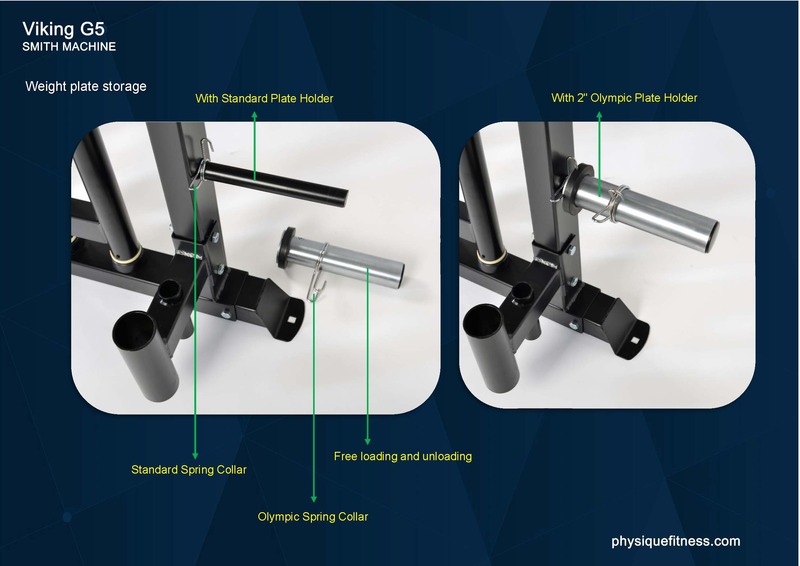 1 x barbell holder for standard and Olympic barbell. Numbering for left and right adjustment for pulleys, as well as J Hooks and Safety catches. 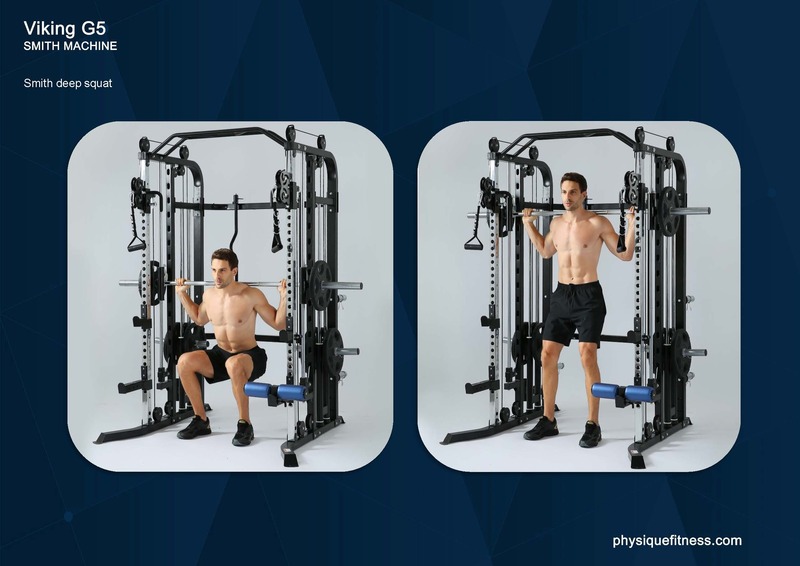 It also allows the user to easily keep track of the position for different exercises.